Are you looking to have a beach wedding in a more lively, upbeat city? Then a St. Pete Beach Wedding is the ideal beach for you. With over 3,000 vacation accommodations available, from well known hotels with an abundance of amenities, to your small laid back motel, you can find the accommodations that fit your vibe. St. Pete beach is within 30 miles of the Tampa International Airport and the St. Petersburg-Clearwater International Airport, which means less travel when your plane lands, and more time to prepare for your St. Pete Beach Wedding. Don’t worry about the stress of renting a car, enjoy the Suncoast Beach Trolley, making it easy and convenient for you, and your guests, to get out and enjoy all of the local activities. Keep busy on the days leading up to your wedding with many water activities, such as parasailing, paddle boarding, and windsurfing, followed by your favorite drink at your hotel tiki bar. End one of your nights at the famous RumFish Grill, where you can dine next to a 33,500 gallon fish tank filled with wildlife from the local Gulf, an experience you and your guests are sure to remember! Simply Clearwater: Many couples choose to elope for a variety of reasons. If you would like to spend your money on the enjoyment of you and your fiancé rather than 100 guests and ensure your wedding is exactly how you two want it to be, eloping with our Simply Clearwater package is the way to go. This package is only available for small groups with less than eight including the bride and groom. • Clearwater Nautical Knot: For weddings with up to 35 people, the Clearwater Nautical Knot is a great option. This package allows you to choose the colors of bamboo poles as well as a bamboo arch topper such as white lilies, tropical flowers, or starfish. • Gulf Beach Destiny: If you’d like to have over 50 people at your wedding, the Gulf Beach Destiny package can take the hassle out of planning a larger wedding. With this package, you can please all your guests with an elegant look and feel. • Clearwater Distinctive Design: To really “wow” your guests and create a wedding that you may have only seen in movies, go for one of our unique Clearwater Distinctive Design packages. These packages include deluxe white resin chairs, just married t-shirts, a chalkboard wedding announcements, and a lemonade and water station to keep guests cool and hydrated. • Are you looking for a relaxed wedding? One of the reasons brides choose Florida weddings is because they can easily create a relaxed environment. If you are laid back and want to stay away from a cookie cutter wedding, a wedding in St. Petersburg is an excellent choice. You can ditch your high heels for sandals or even bare feet and completely relax on your special day. • Would you like an intimate affair? St. Pete beach weddings are typically smaller than weddings at local venues. If you’d like a smaller wedding so that you can spend time with all your guests and ensure the people you’re closest with are by your side, a wedding on a St. Petersburg beach will meet your needs. • Are you a busy bee and worried you won’t have time to fit in a honeymoon? Beach weddings come with built-in honeymoons. If you’re already in St. Petersburg for your wedding, you might as well stay a bit longer and enjoy a honeymoon. •Do your guests love adventure? 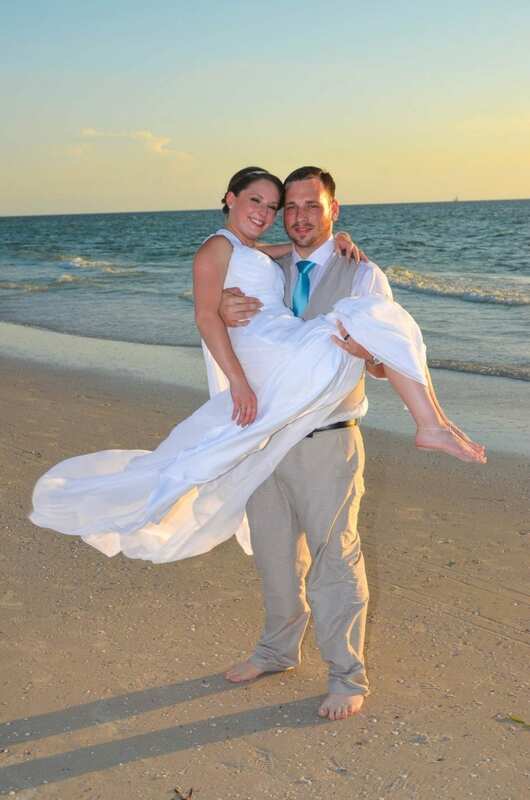 St. Pete beach weddings allow guests to enjoy a variety of adventures. While visiting St. Petersburg to attend your wedding, your guests can add snorkeling, boating, fishing, and other exciting activities to their agenda. • Is the beach your “happy place?” Some people are beach bums. If you and your fiancé consider yourselves beach bums and are happiest when surrounded by the ocean, palm trees, and sand then it only makes sense to have your wedding at the beach. •Are your wedding pictures important to you? If you would like your wedding pictures to turn out beautiful, you should know that they will if you have your wedding on St. Petersburg beach. Whether you take pictures by the ocean, on the sand, or anywhere else, you are guaranteed a stunning backdrop for your photographs. You cannot get these types of photos by having a wedding at a local venue. •Would you like to save money? The cost of weddings at traditional local venues can be overwhelming. If you’re on a mission to save money while still hosting a dream wedding, Your Florida Beach Wedding Company can help you do just that. Even though our St. Petersburg wedding packages are great deals, we offer flash sales for budget friendly brides. If you’re flexible with your travel plans and don’t care when you have your wedding, consider hosting a stunning wedding during one of our select sale dates (contact us for information). With options to keep all of your guests busy, a St. Pete Beach Wedding is truly a memorable experience for you and your guests. Enjoy an upbeat lifestyle, water activities, and amazing sunsets at your beautiful destination St. Pete Beach Wedding. The best part is, with so much to do, it is a great place to return for your anniversary trips! 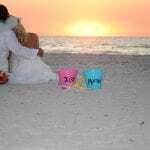 Check out our St. Pete Beach Wedding Packages and start planning with us today.